The Galaxy Unicorn Bedding set is one of the best gifts for your kids. It will lighten up their bedroom and create a cozy atmosphere. 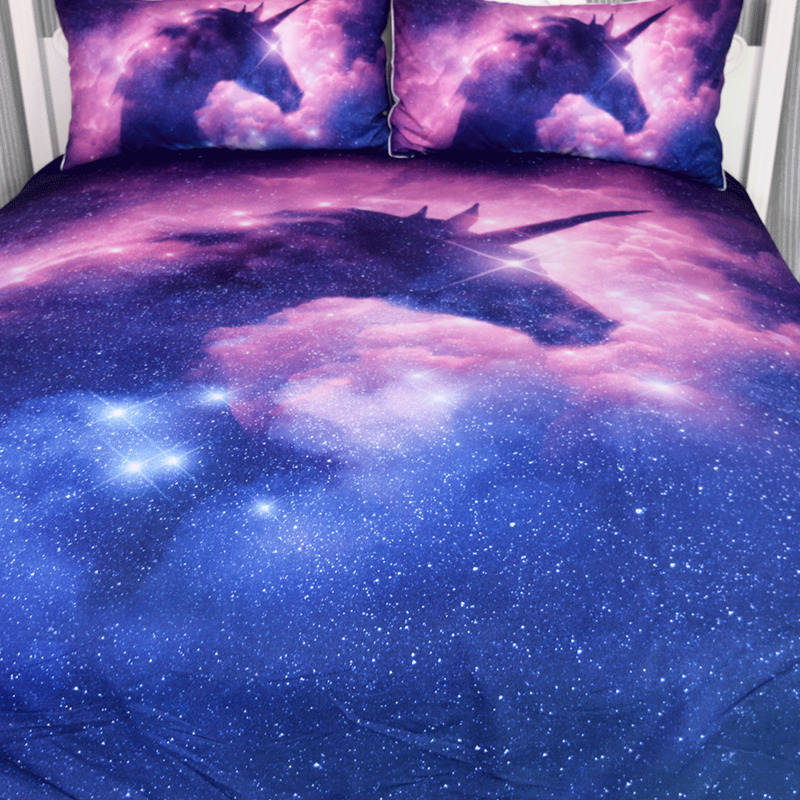 Your kids will have the sweetest dreams on this magnificent Galaxy Unicorn bedding set. If you have still not purchased this product, your kids are missing some of the best pleasures of their lives. 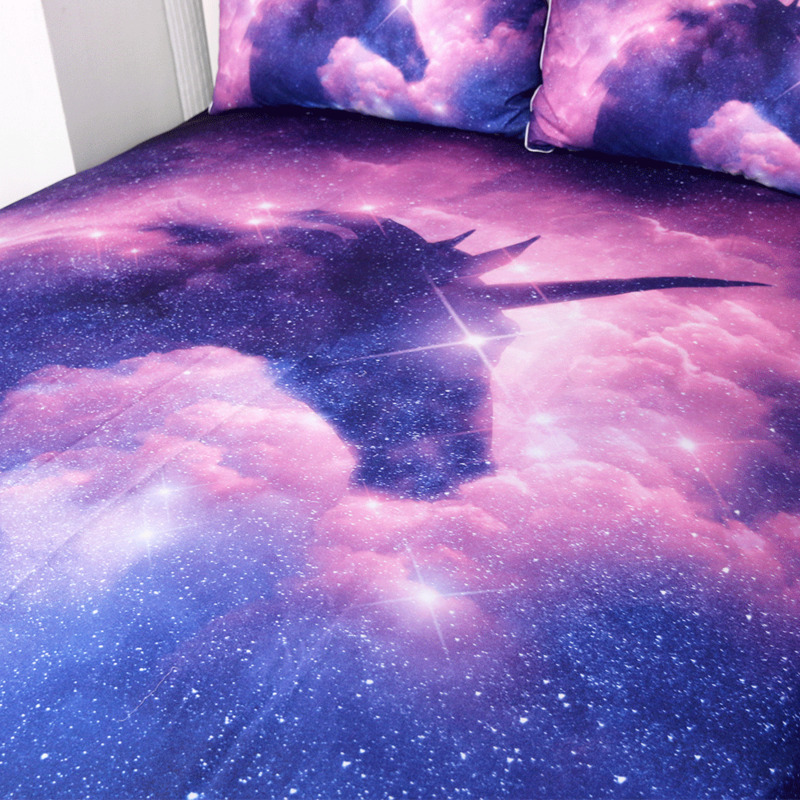 Your kids will have a good night’s sleep on this bedding set. The product is durable, cozy, and affordable at the same time. 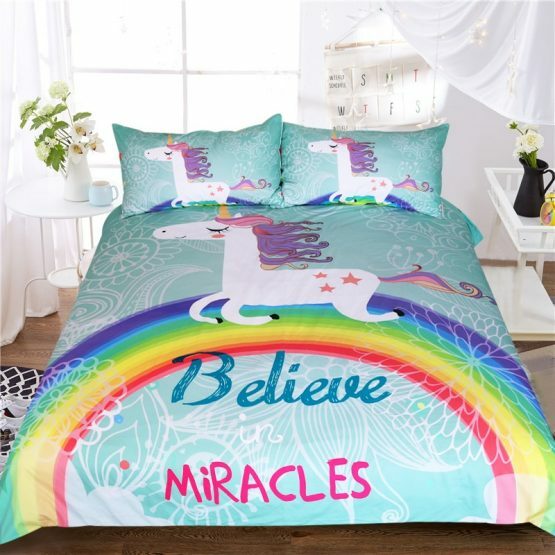 It is made of 100% brushed microfiber with a thread count of 400. 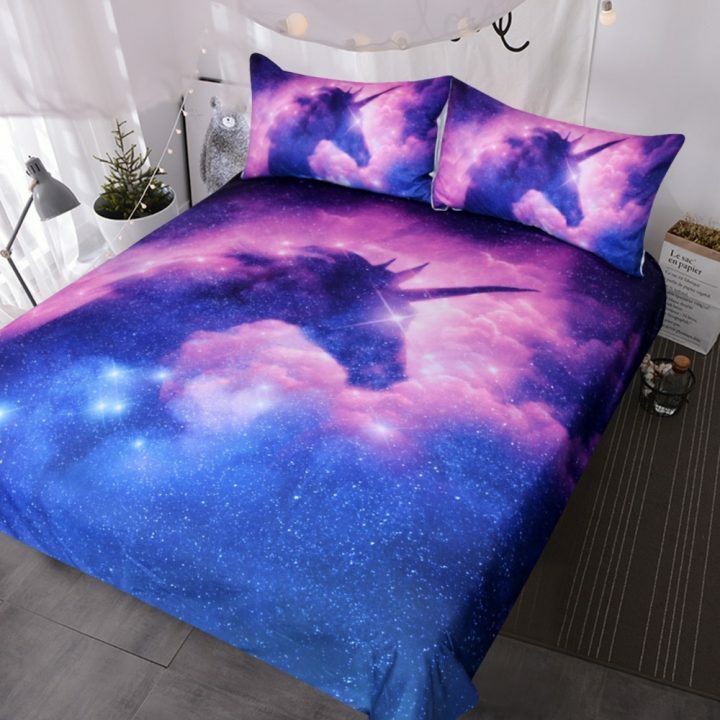 Make sure that you buy the Galaxy Unicorn bedding set today. GALAXY UNICORN PATTERN – Sparkle stars and space background with a pretty blue and purple galaxy style unicorn in the center. COMFORTABLE: Microfiber duvet cover set is designed to resist wrinkles and pilling, it will stay like new through many machine wash cycles. Strong and durable, yet luxuriously soft, duvet cover offers all the advantages of standard cotton duvet covers at less cost! CONVENIENT: Duvet covers stay on the duvet and function like sheets — they absorb moisture and dirt, protecting the duvet itself so you can strip just the cover off and wash it. CLEAN DESIGN – Duvet cover has nonslip corner ties and hidden zipper closure; shams are finished neatly with envelope closures. Attention: All dimensions are measured manually with deviation ranged at 1-1.5inches. The cute unicorn backpack is another quality product for your kids. 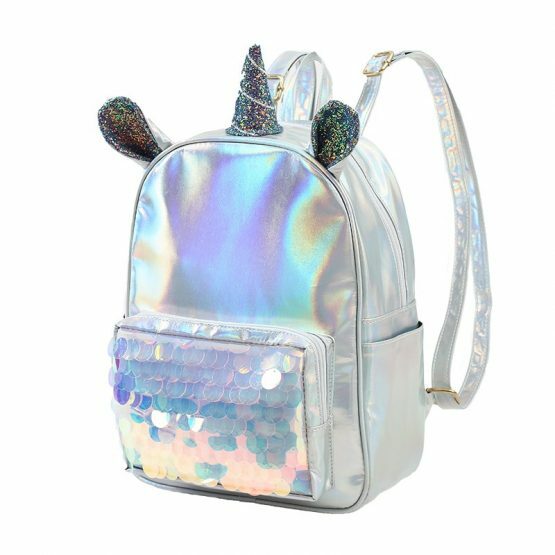 Your kids will love this adorable unicorn backpack. It feels so comfortable and convenient on their shoulders. The cushion-padded straps ease the load off their shoulders. The product is lightweight, water-resistant, and made from soft touching polyester. The bag consists of multiple pockets to store all the personal items of your kid. 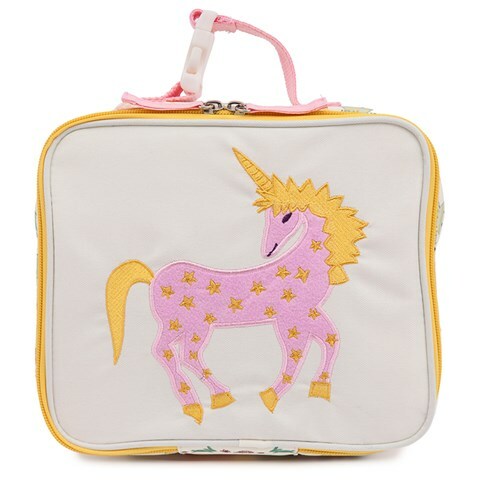 Many customers have highly rated the quality of this cute unicorn backpack. The backpack is ideal for preschool, shopping, camping, school excursions, and driving. 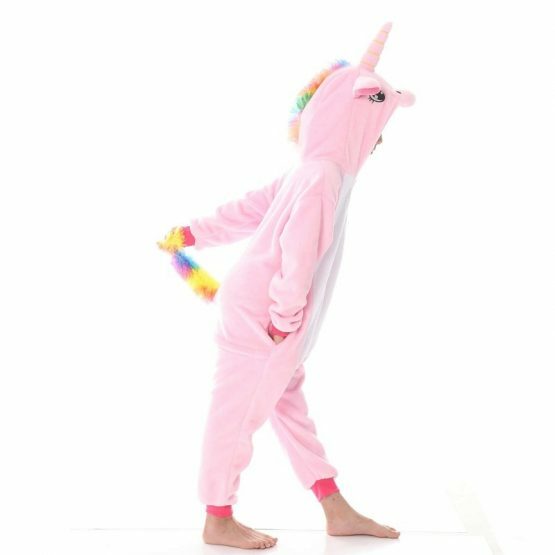 You should buy the cute unicorn backpack for your kid without further delay. 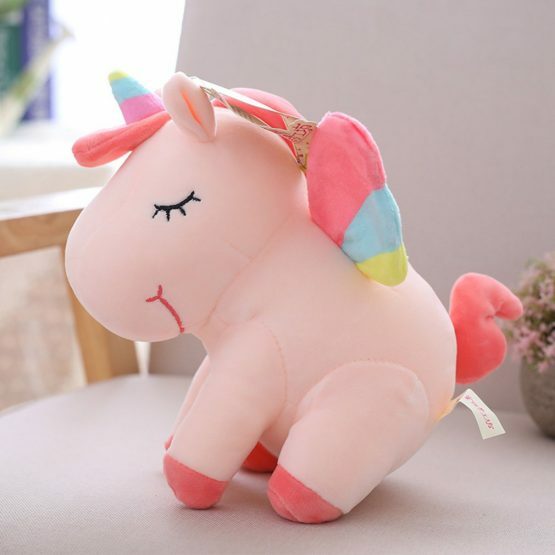 This cute rainbow unicorn stuffed plush toy is sure to make you smile. With a rainbow horn, short tail and rainbow wings, this unicorn is full of magic and wonder. Choose from pink, white, pale blue or pale yellow as the primary color, with contrasting hooves, tail, and mane. At 25cm x 27cm x 16m, this plush toy is the perfect size for a bedside ornament or for an older child to play with. Stuffed with PP cotton, this toy is a joy to play with and hold. 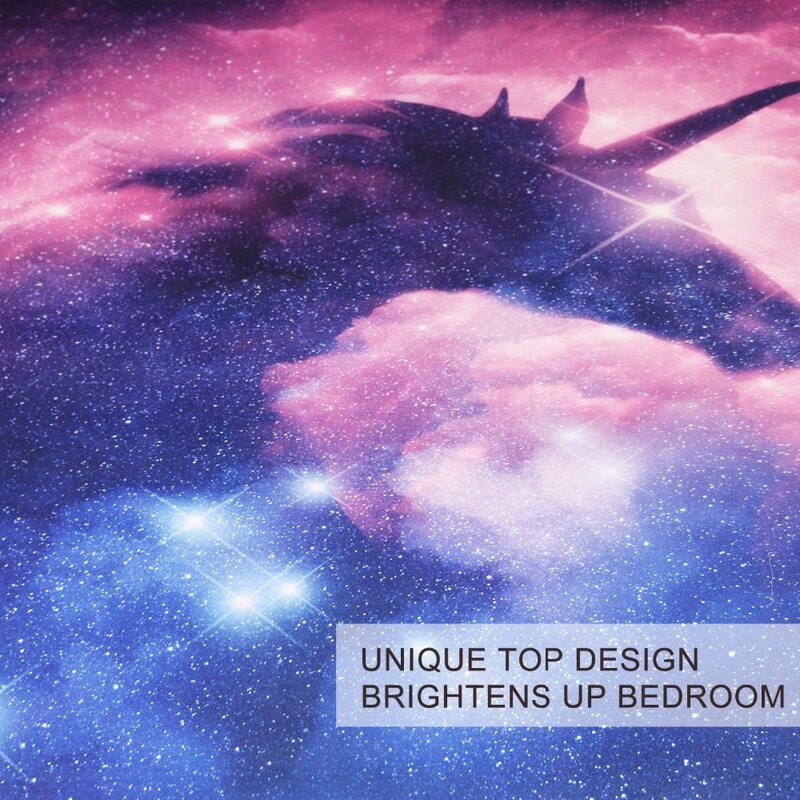 Bring some magic into your home with a cute new Unicorn friend. 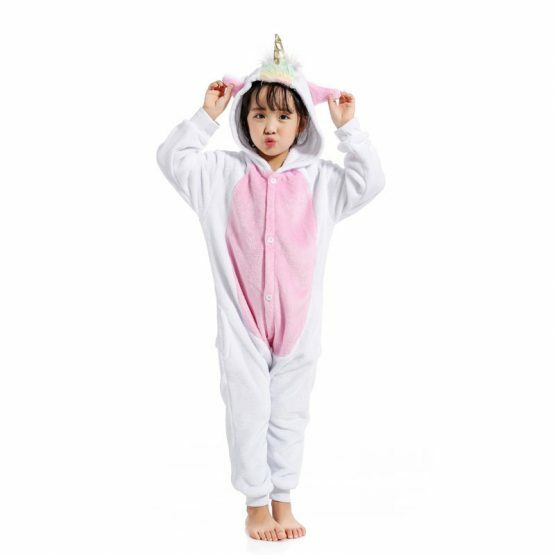 The Unicorn super soft plush toy is made from a premium polyester material that is super soft and has a marshmallow-like texture. It offers the consumer an unexpected softness and huggable experience. You get a velvet-like feel at your fingertips with this product. 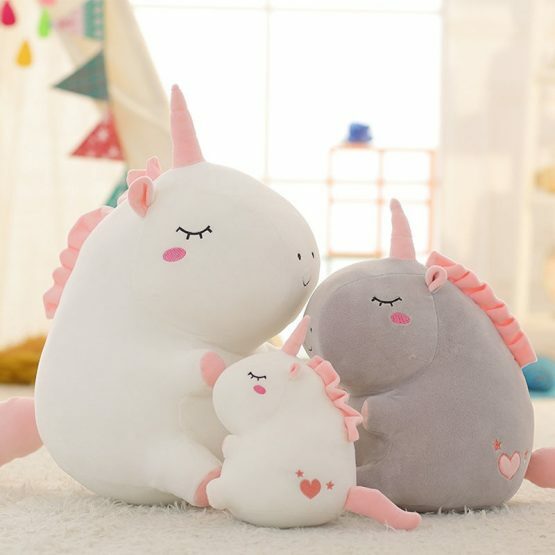 If you are searching for a unique and meaningful gift for your kids, birthday, graduation, or Christmas party - the Unicorn super soft plush toy is the best choice for you. The product is easily washable and should be tumble dried on medium heat. Make sure you invest in the Unicorn super soft stuffed plush toy right now. 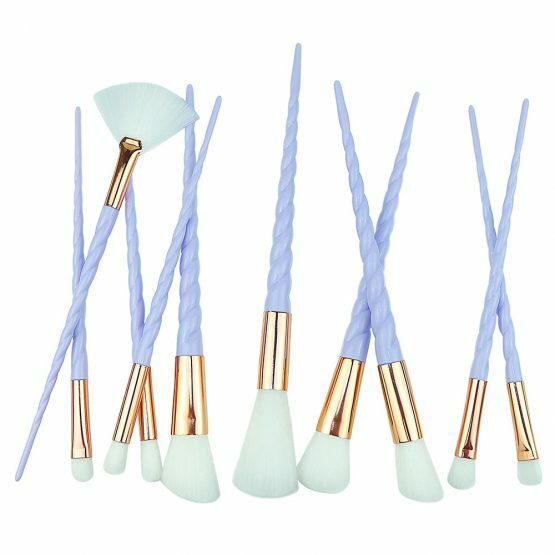 Applying makeup is even more glamorous when it is done using these durable, high-quality Unicorn makeup brushes. Purchase them in a set of 4, 7, 10 or 12. 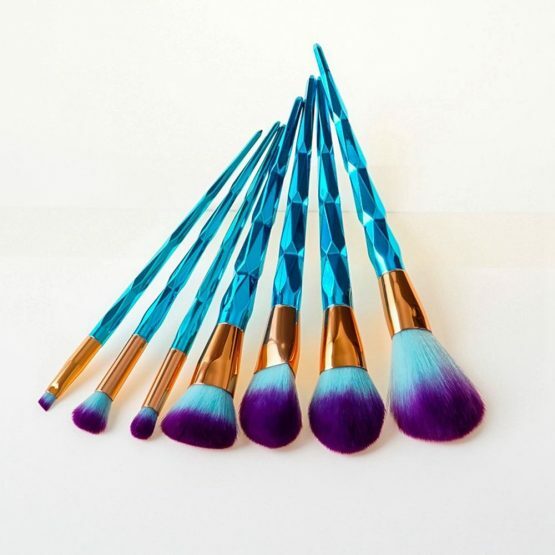 Each plated, metallic handled brush is made up with dual colored light blue and purple synthetic or nylon hairs for a clean, precise application every time. Other colors are available, and each set is priced between $13 and $27. Most set brushes measure 25 cm by 15 cm by 3 cm. Different kits come with an assortment of eyeshadow brushes, fan brushes, foundation, and concealer brushes. These cotton toys are great to snuggle up to. 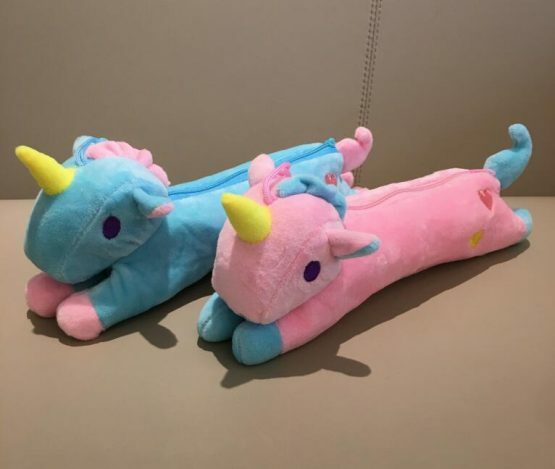 Choose from a pink or blue unicorn, with contrasting a contrasting tail, mane, and hooves, with a yellow horn. A small plush unicorn makes a great stocking stuffer or small gift for the unicorn lover in your life. These gorgeous plush toys will look stunning on your desk or as a bedroom decoration. They're small enough to take out with you as an older child's toy on a long trip as well. It's hard not to smile when you see these loveable unicorns with embroidered motifs. Add some magic to your life today.